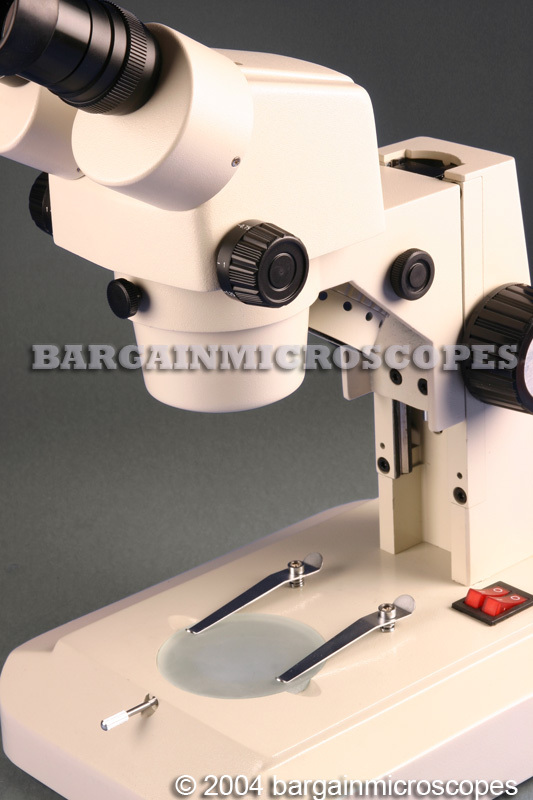 These are Higher Quality Stereo Microscopes for Low Power Applications. 3-D Stereoscopic Viewing for depth perception. 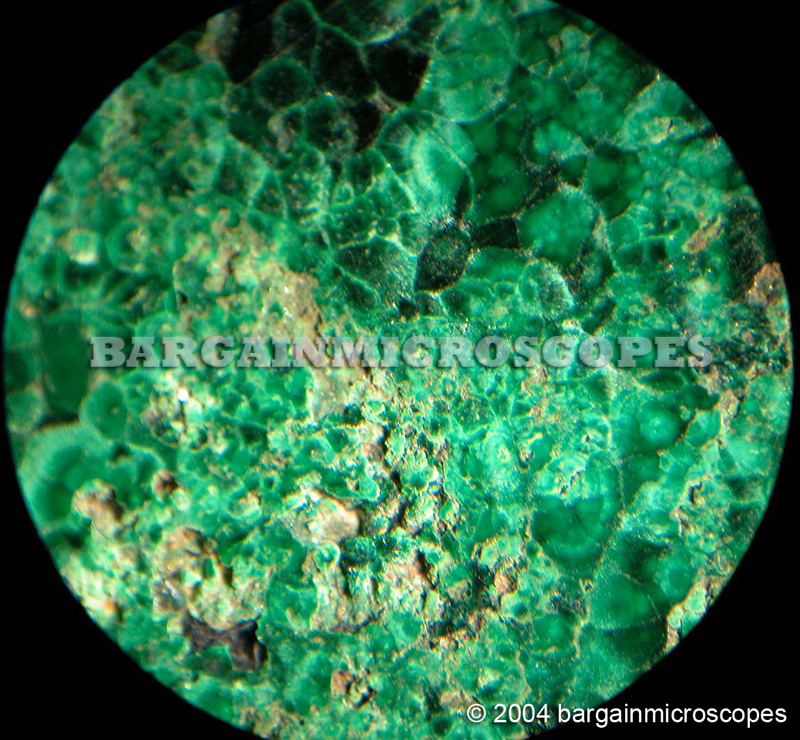 Great for general viewing of rocks, minerals, bugs, plants, coins, stamps, and for use in many hobbies. 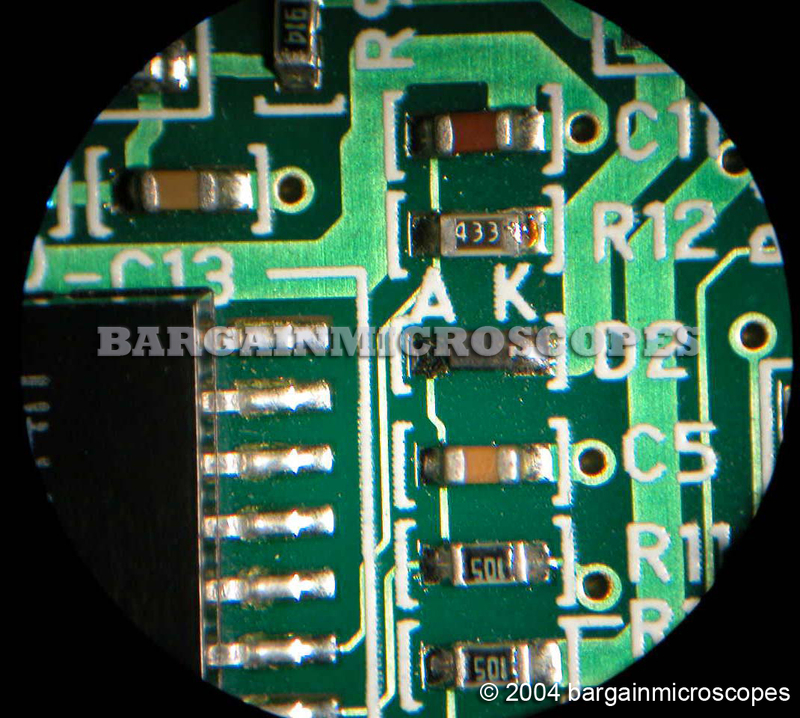 Stereoscopic low power magnification microscope. Microphoto images from this microscope. Includes Heavy Duty Aluminum Carrying Case with Durable Foam Interior! 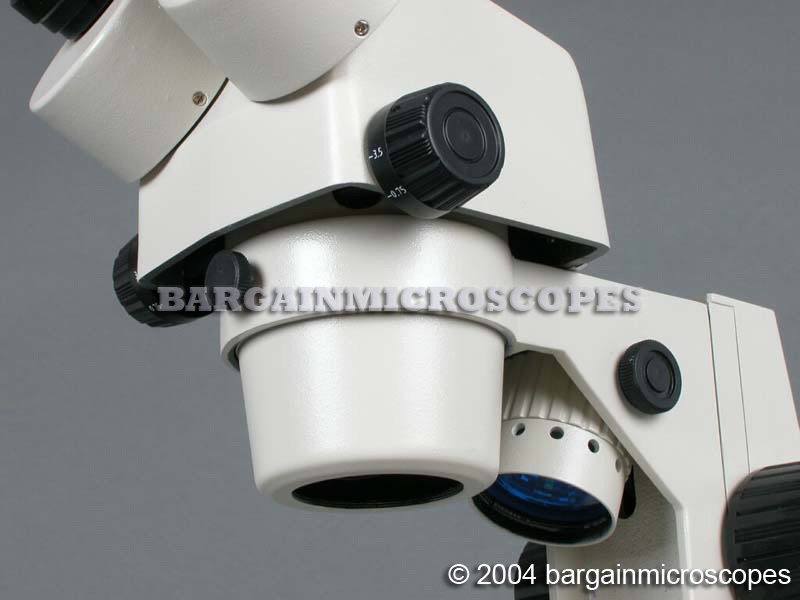 Zoom Range 7.5 – 70x Continuous Magnification (using both eyepiece sets). Eyepiece Sets Included: Wide Field 10x and Wide Field 20x. 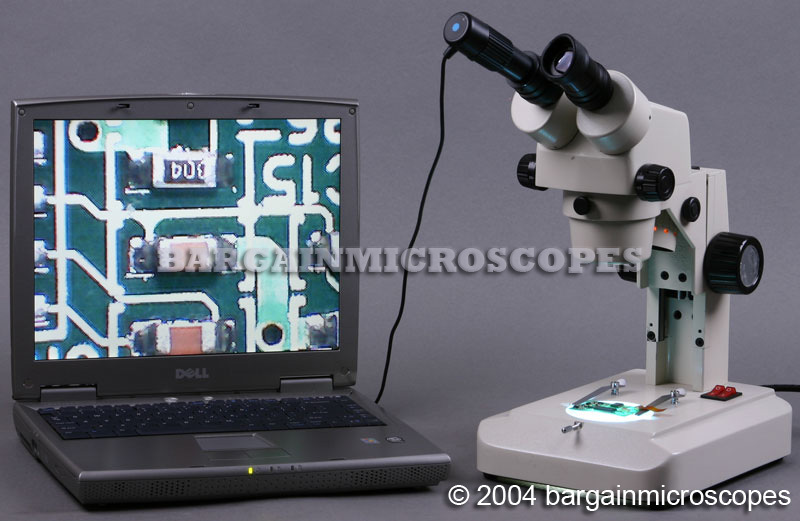 This zoom microscope is a great improvement over a fixed objective microscope. 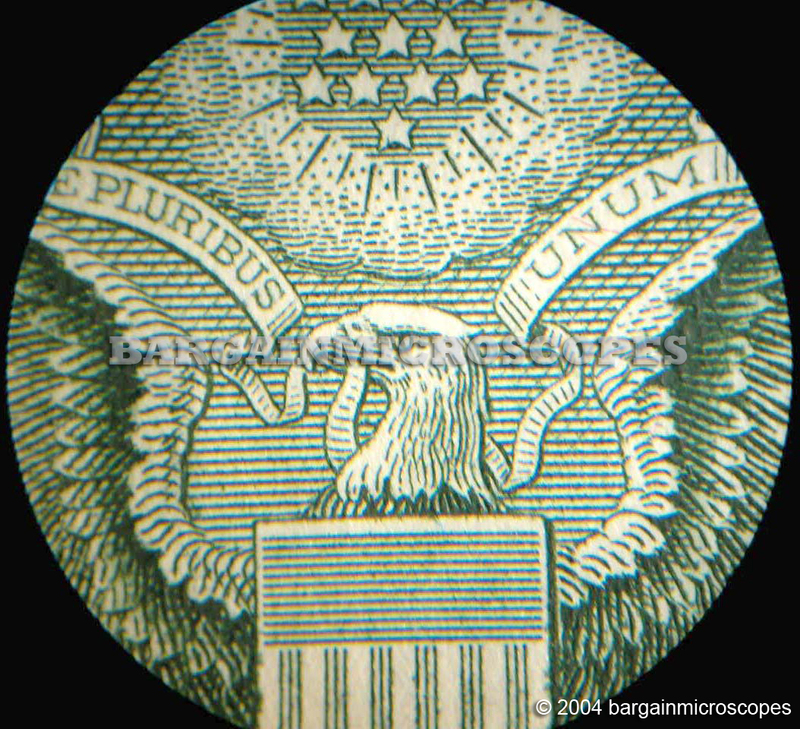 It allows continuous magnification with sharp imagery throughout the full zoom range. 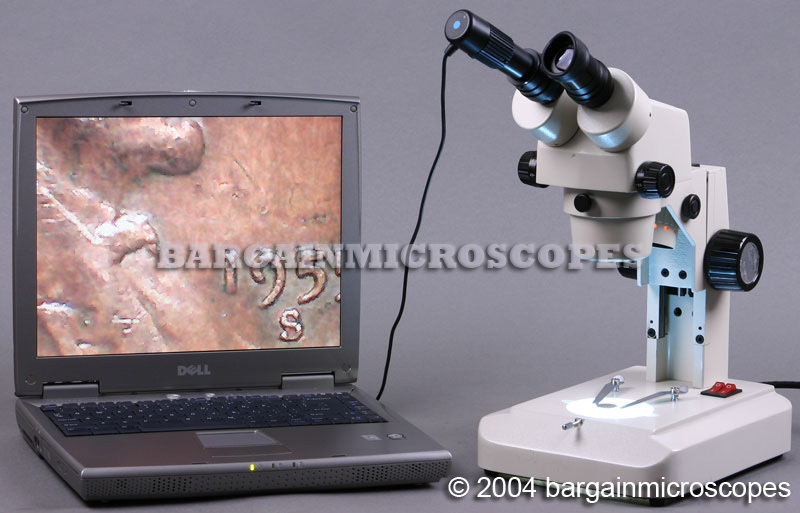 This is a great zoom range for looking at items like gems, old documents, insects, old coins, stamps, fossils, meteorites, and such. Halogen bulb illumination for brighter intensity. Upper bulb for incident illumination and lower bulb for bottom transmitted illumination. Ability to control light intensity with variable control knob. Switch to turn on upper, base, or both lights simultaneously. 30 Degree Inclined Binocular Head, Rotatable 360 Degrees. Adjusts to the Distance Between your Eyes: 50 to 75mm InterPupillary Distance. Diopter Adjustment on Both Oculars to Correct for Your Specific Vision Needs. Large Base for Maximum Stability. 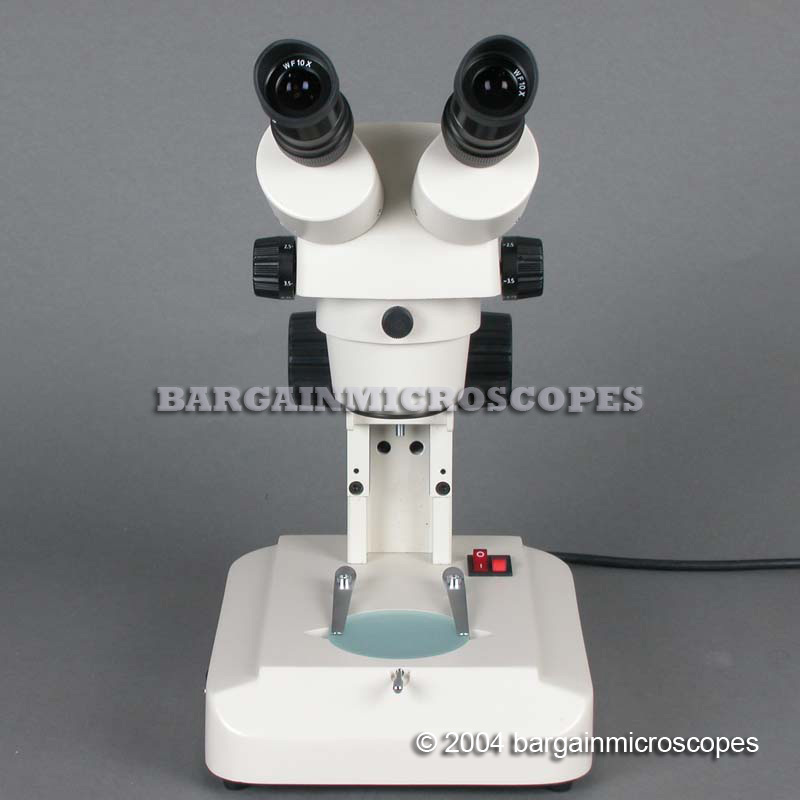 Total Overall Height of Microscope: 387mm. Includes: Instruction Manual, Dust Cover, Extra Bulb and Fuse. 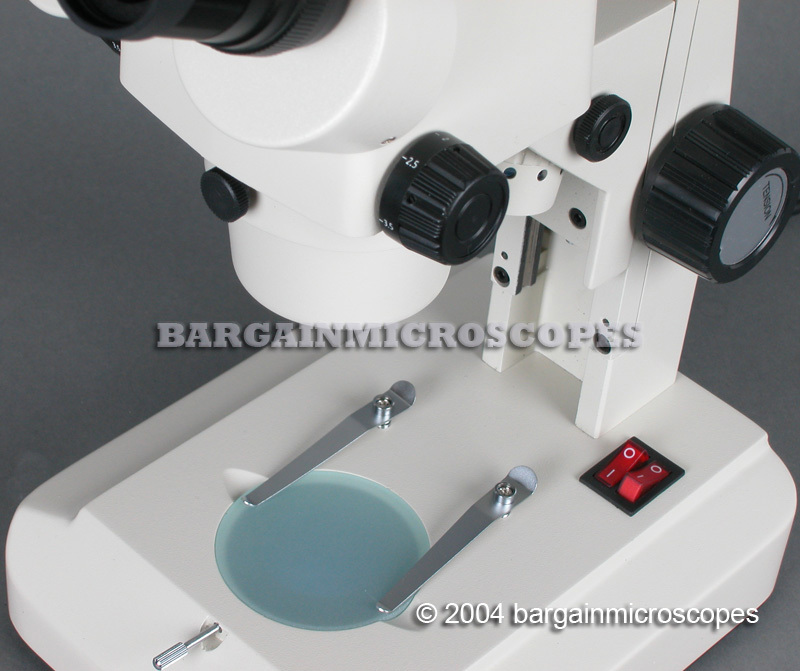 Microscope manufacturing factory certified ISO: 9001 compliant. All optical lens are precision ground glass for premium optics and durability. 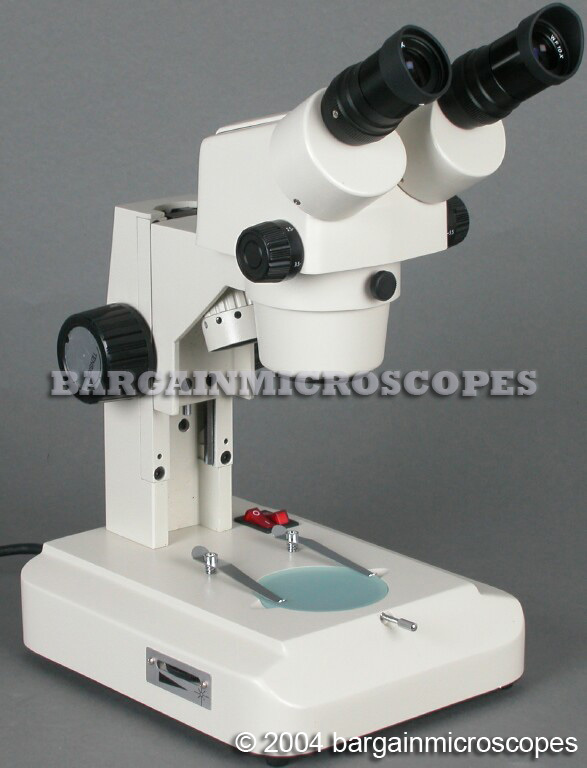 Frame of microscope is sturdy and made of metal. Voltage is 110V (contact us about 220V). 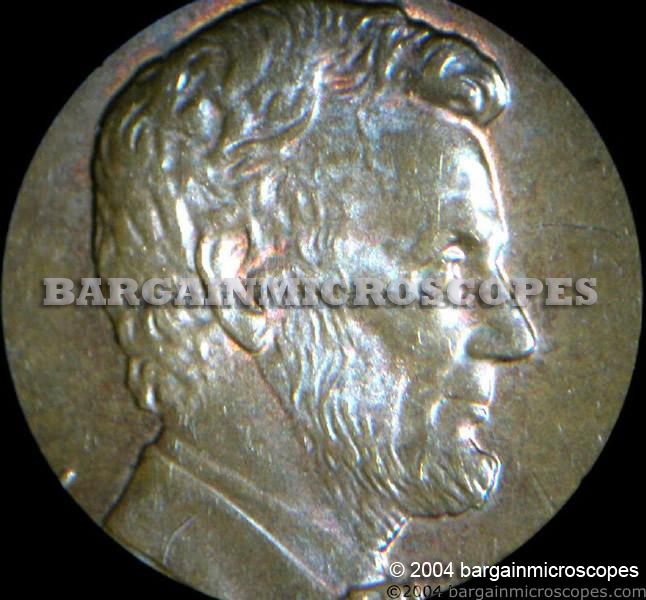 All microscopy items are always 100% Brand New! 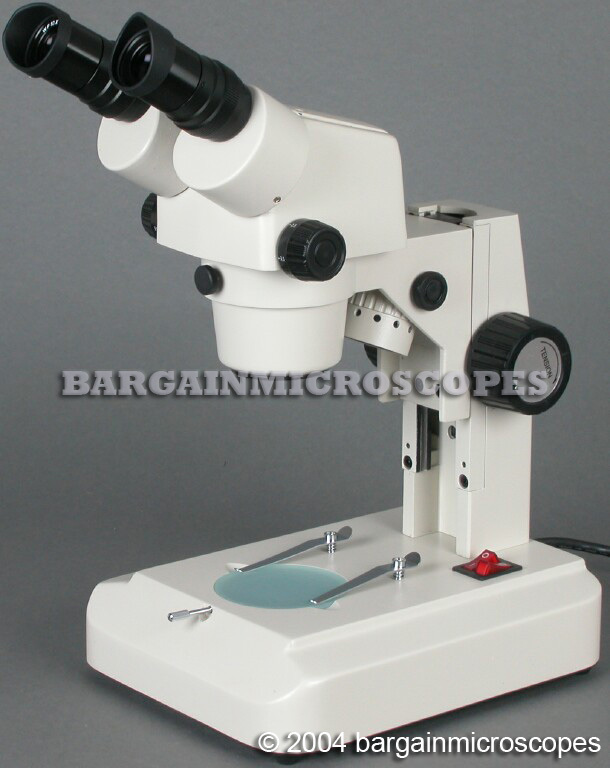 We do not sell used microscopes or used parts. Warranty! The Quality of the product is Assured! 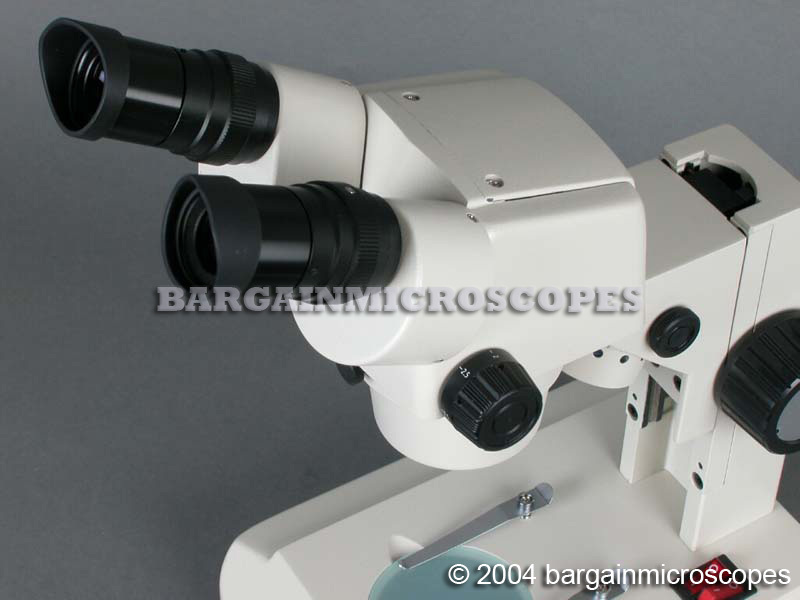 You are covered by a 5 Year Warranty on microscope equipment!